I am admiring these little Home Sweet Home block houses by Something's Hiding In Here. 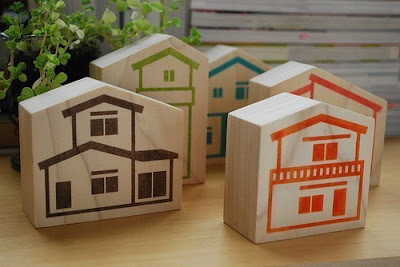 There are five different designs made of poplar wood and hand-printed using Gocco. these are fabulous...think they are a must-have...wonderful taste you've got!